Need some men's boots for frigid temperatures? The Chippewa Men's 25492 Waterproof Brown Leather Boots are lined with full lamb shearing and include the one-year warranty of the Chip-A-Tex waterproofing. The full-grain bay apache leather uppers provide ease of move ... (see full details) (see specifications) #CHP25492. Need some men's boots for frigid temperatures? The Chippewa Men's 25492 Waterproof Brown Leather Boots are lined with full lamb shearing and include the one-year warranty of the Chip-A-Tex waterproofing. The full-grain bay apache leather uppers provide ease of movement and style, but still live up to leather's promise of durability. When your feet get tired, so does the rest of your body. You need waterproof boots constructed for strong support, shock absorption, with a warm and dry environment. This footwear has it all. They even feature wool polypropylene felt insulation...can you feel the warmth from these boots yet? The Goodyear Welt technology is a construction masterpiece, built to last with Vibram Cascade yellow plug soles that can be easily repaired for even longer life expectancy. For the cowboys out there, these Chippewa's were built to: "Die with your boots on." The legendary Vibram soles are oil- and slip-resistant, giving you greater traction than before. The Texon 460 waterproof insoles are removable for your convenience, and the triple-ribbed steel shanks in the USA-made boots support the arches of your feet. 4 iron rubber midsoles add more stability. Antique brass hardware on the exterior of the waterproof boots is non-tarnishable, and you'll like that the durable laces stay tied, as they are heavy duty waxed Sta-tied. The Chippewa Men's American-Made 25492 Brown Leather Waterproof Boots were made in the USA. And just like you, the hardworking American, they're tough, dependable, and made to stand up to anything! This is my second winter with these chippewa boots. just as warm and dry as the day i bought them. I climb and cut down trees to earn a living and there is nothing worse then cold wet feet all day. these boots have stood up. the money spent was well worth it. I've been wearing this boot for about 20 years. Chippewa changed it a bit about 5 years ago. They made the top hooks smaller and changed the intermediate hook. I have worked construction outdoors since the early 70"s. I looked around and found no other boot to come close. Keep the leather treated and they will keep your feet dry and warm. I found this boot to be one of the most comfortable and warmest boots I have ever warn.I wear these when I am hunting and I have never been cold.I highly recommend this boot to anyone who works and hunts. I bought the same style boot over 25 yrs. ago as my 1st. pair of hunting boots! Glad to see after 25 yrs. the quality is still in the boot for my 2nd pair. True to fit and comfortable the 1st. time I wore them in the woods!!!! Working Persons in the only place I buy me boots for work or play. RECEIVED MY BOOTS TODAY AND COULDN'T BE HAPPIER WITH THEM. 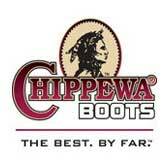 I HAVE OWNED CHIPPEWA BOOTS IN THE PAST AND AM HAPPY TO SEE THAT THE QUALITY AND AMERICAN CRAFTMANSHIP IS STILL THERE. I AM VERY MUCH LOOKING FORWARD TO WEARING THESE BOOTS THIS AND FUTURE HUNTING SEASONS. I CAN'T RECOMMEND THESE BOOTS ENOUGH. Chippewa Boots: Men's USA-Made Waterproof 25492 Brown Leather Work Boots is being added to your cart.